Home » Mom Expecting Three Gets Four Babies! The more the merrier? A Mississippi family that was preparing to welcome triplets was shocked when a fourth baby appeared during the delivery. Kimberly Fugate was thought to be pregnant with identical triplets until an extra little one was discovered on February 8th. The baby girls were born prematurely at 28 weeks gestation by c-section. Kenleigh Rosa was born at 7:55, weighing 2 pounds, 1 ounce. Kristen Sue was born at 7:57 weighing 2 pounds, 4 ounces. Kayleigh Pearl was born at 7:58 weighing 2 pounds, 8 ounces. Kelsey Roxanne was born a minute later weighing 2 pounds, 6 ounces. Even more surprised was Kimberly’s husband. 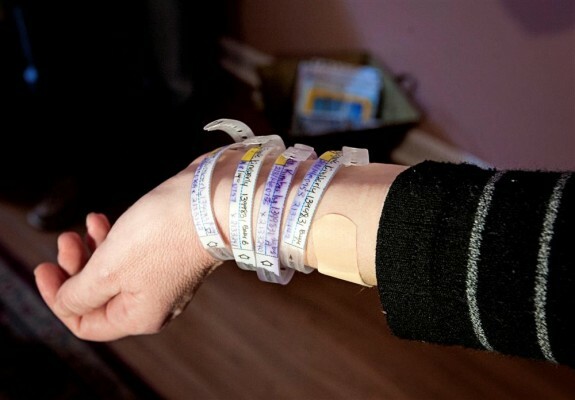 When he walked into the recovery room to see his wife, she held up her arm which had with four plastic identification bracelets on it and told him to count. Dr. James Bofill, professor of maternal fetal medicine, said the odds of spontaneous quadruplets are 1 in 729,000. But in the Fugates’ case, the odds are even smaller because their girls split from a single egg, meaning the siblings are identical. The new babies will join the Fugate’s older daughter 10-year-old daughter, Katelyn. They’re not expected to be released home until May.